Tooth decay is the most common oral disease among children. 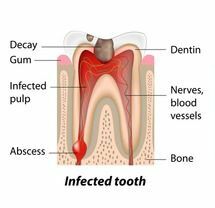 Tooth decay (dental cavity) is a bacterial infection that impacts the integrity and function of a tooth. Left untreated, tooth decay can cause extreme pain that will impact your child’s overall health as well as their ability to learn and excel in school. Sugars from your kids diet mix with the watery substance (saliva) in their mouth. This mixture is acid and can demineralize the outermost surface of a tooth called enamel. Duration and frequency along with the effectiveness of your child’s daily oral health habits impact whether or not a tooth develops a dental cavity (tooth decay). The best way to prevent tooth decay is to teach your children to brush and floss their teeth daily. An effective oral healthcare routine along with a nutritious diet low in sugar will help to prevent your child from developing tooth decay in between professional teeth cleaning dental visits. A visual exam by your child’s dentist will enable them to examine your child’s teeth for tooth decay, how their teeth are developing and how they bite together, as well as look for any soft tissue abnormalities. Bitewing x-rays enable your dentist to see between your child’s teeth to determine if your child has tooth decay as well as check the development of teeth that have not yet erupted. Your dentist will recommend updating x-rays of your child’s teeth based upon your child’s risk for tooth decay. 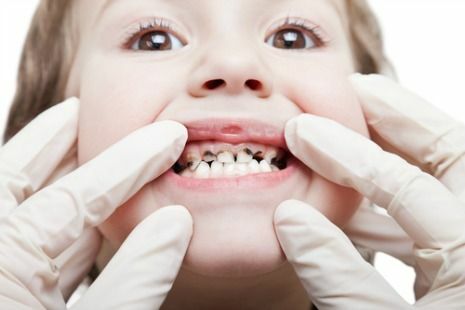 Do kids need tooth decay treatment? This is a frequently asked question from parents. The short answer is yes, they do. If your dentist found tooth decay during your child’s dental examination, your child will need dental treatment to eradicate the decay. Left untreated, tooth decay will grow and size and depth. If the tooth decays into the heart or nerve portion of the tooth, your child will have a very painful toothache. It’s a fair question. 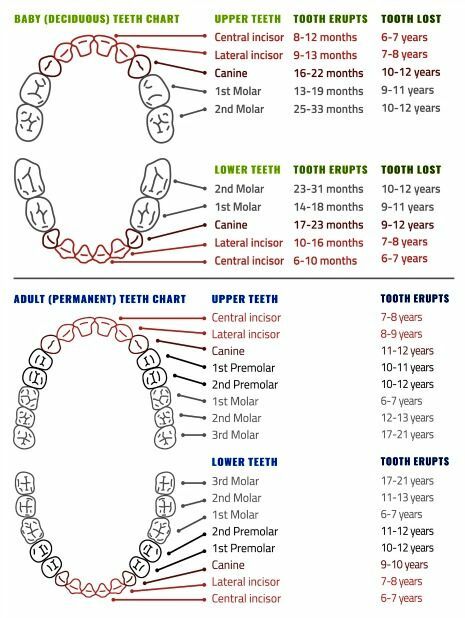 And depending upon the age of your child–and how close the permanent tooth is to erupting, having the baby tooth pulled and not restored may be an option for you to consider. Extracting or pulling a baby tooth prematurely can impact the future development of your child’s teeth, their position (space for permanent teeth to come in), function, and your child’s ability to chew. By electing to restore your child’s tooth with a dental restoration, this will help to retain space for your child’s permanent teeth to grow in. Additionally, your child’s speech, smile appearance, chewing function will not be impacted. Tooth decay–left untreated, can cause extreme pain that will impact your child’s overall health as well as their ability to learn and excel in school. When a baby or toddler has tooth decay, this is commonly referred to as baby bottle tooth decay. Once baby teeth begin to erupt (visible in the mouth), your child’s teeth are at risk for developing cavities. 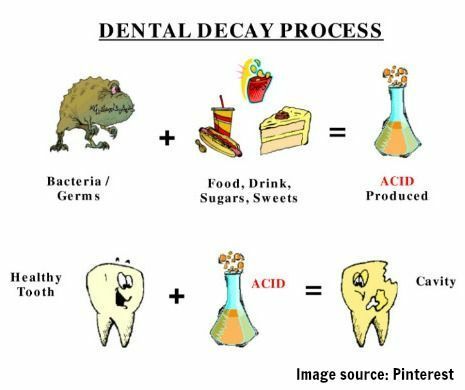 Tooth decay (cavities) in infants and toddlers is most commonly referred to as baby bottle tooth decay or early childhood caries. The most common cause for baby bottle tooth decay occurs as a result of frequent, prolonged exposure of the baby or infant’s teeth to drinks containing sugar. Drinks like milk, juice, pop, and flavored water all contain sugar and are the most common offenders. In many cases, baby bottle tooth decay develops in infants and toddlers who fall asleep sucking on a bottle of milk or juice. The milk and juices that are fed to the baby or toddler will break down to a liquid sugar that is acidic to the outermost layer of a tooth called enamel. Frequent and prolonged exposures of sugared drinks will cause a hole to form in the enamel. This hole or cavity is a dental cavity (tooth decay) that requires a visit to your dentist to resolve. What does baby bottle tooth decay look like? Baby bottle tooth decay most occurs in the front teeth, but back teeth may also be affected. If you at all suspect that your infant or toddler may have a cavity developing, don’t hesitate to call Dentistry for the Entire Family at (763) 586-9988 for an appointment. If you begin to notice a change in the color of your child’s teeth, from a white to more yellow. Extensive tooth decay will often appear brown and/or black in color. Tooth decay will also alter the shape of the tooth. As the cavity grows in size, the tooth will become very weak and begin to chip and break away as pictured above. Once tooth decay reaches the dentin layer of a tooth, your child’s tooth will require the placement of a dental restoration by your dentist. There are many dental restoration options available to restore your child’s decayed teeth including a Fuji, composite, or amalgam filling. There are advantages and disadvantages to consider for each option. Your dentist will discuss your options with you so you can decide which dental restoration is most appropriate for your child’s teeth. Dentistry for the Entire Family offers a variety of options to choose from to help your child have a positive dental appointment experience. The use of nitrous oxide, also known as laughing gas, is the most popular–adults often use it too! Nitrous oxide is also known as laughing gas. 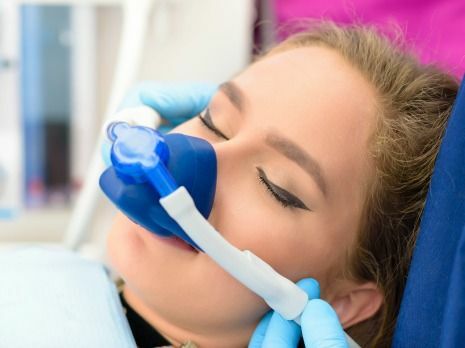 Laughing gas is a mixture of oxygen and nitrous oxide that is inhaled during your dental appointment procedure to help your child to relax. Both liquid and tablet form sedatives are available to help your child feel more relaxed and less anxious during their planned dental appointment. Sedatives are generally taken thirty minutes before your child’s appointment time and require an adult accompaniment and driver. General anesthesia is commonly described as being put to sleep and is an option for children treated by a pediatric dentist. 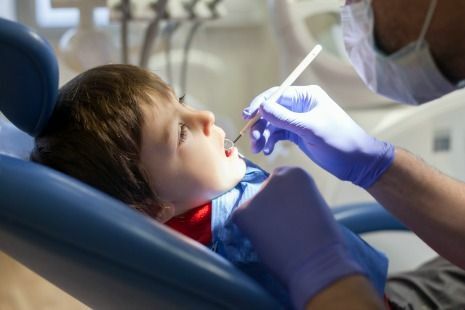 Pediatric dentists have advanced training in sedation and have the additional equipment necessary to administer and manage a patient under general anesthesia. Kids whose dental treatment is completed while under general anesthesia will often have no recollection of their dental appointment experience afterwards and will likely feel groggy for several hours following their appointment. Depending upon the age and the anticipated level of cooperation to complete necessary treatment, your dentist may refer your child to a pediatric dentist. A pediatric dentist is a dentist who has completed advanced dental training in the treatment and management for babies, infants, toddlers, and school aged children. It’s totally natural and anticipated that your child may experience some anxiety before an upcoming dental appointment. And for many kids, your family dentist can go slow and explain each step until treatment is completed to help ensure a positive dental appointment experience. But for kids who are more anxious or are too young to understand and cooperate during their appointment, a referral to a pediatric dentist may be recommended. We want your child to have a positive outlook on going to the dentist. Pediatric dentists have advanced training in providing dental care for kids who have a cognitive or behavioral disability and/or have a special need that a family dentist is unable to provide, including general anesthesia (being put to sleep for treatment). Offices that cater to young children often tailor their office decor to accommodate and make children feel more comfortable. Tooth decay is best prevented when parents encourage and monitor their kids daily oral health routine. Brushing after meals, flossing daily, eating a low sugar diet, minimizing snacks in between meals, and having their teeth professionally cleaned and examined by a dentist every six months will help prevent tooth decay. If your child’s dentist finds a cavity while examining your child’s teeth and/or dental x-rays, tooth decay treatment will be necessary. Left untreated, tooth decay will lead to a painful abscess and bacterial infection that can impact the your child’s overall health. This infection can enter the bloodstream and lead to a life threatening emergency. 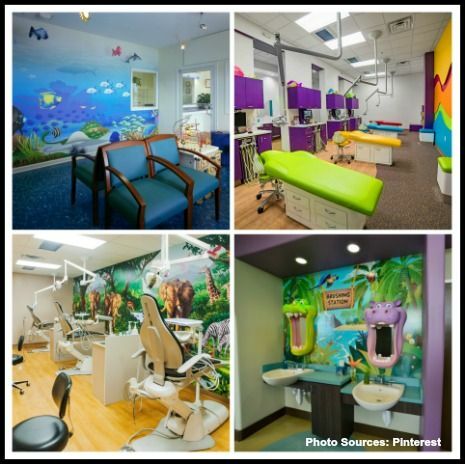 Dentistry for the Entire Family’s dentists are kid-friendly. Appointments are available before or after school, Monday thru Friday. Call (763) 586-9988 or click to request an appointment today.